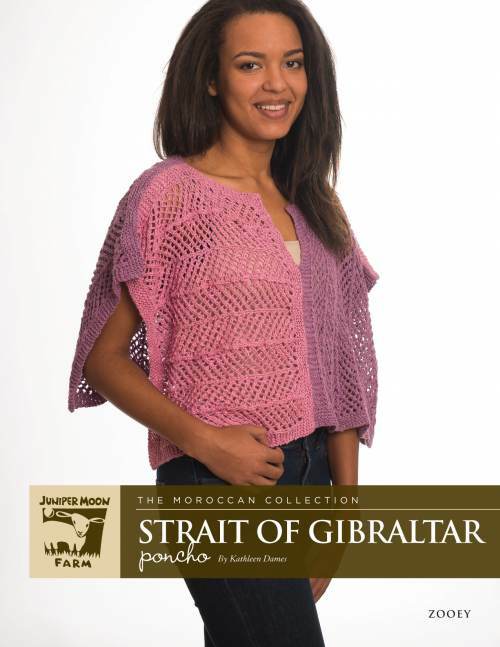 Check out some of the garments & designs found in Zooey - Strait of Gibraltar Poncho. FINISHED MEASUREMENTS Wingspan: 30"/76.25cm. Neck to hem: 15"/38cm. Pattern includes text and chart for lace.